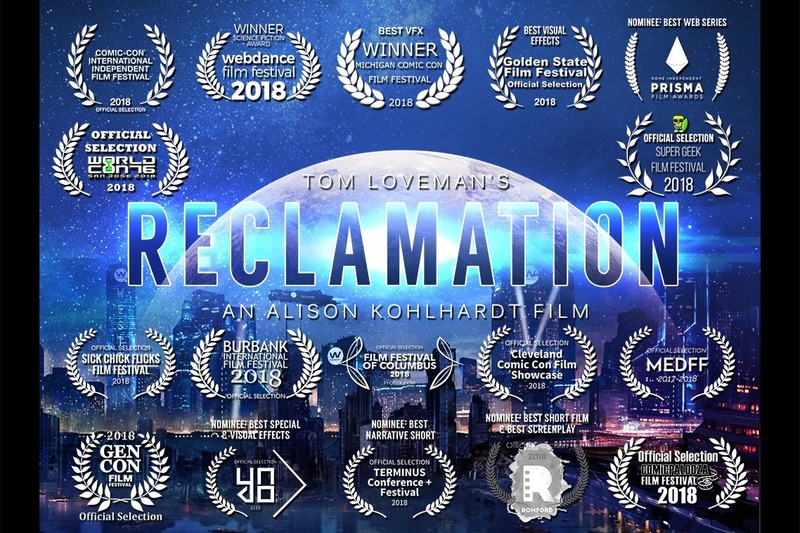 "Reclamation" is an award-winning 18 minute-long pilot for an epic sci-fi series set in 2151 about a determined young woman venturing out into the solar system to find her family that was torn apart by the global corporation that runs everything. • Golden State Film Festival - WON BEST VFX! • Michigan Comic Con - WON BEST VFX! You can see the full list of festivals and awards on the Reclamation website with links to each festival. With the film completed, we are raising distribution funds to get "Reclamation" in front of distributors, sales agents, and investors at film festivals, film markets and comic cons. This film is just the first of five episodes writer Tom Loveman has written for an ongoing digital series. By attending film festivals and promoting "Reclamation" we can build an audience, which is appealing to digital and TV networks who are looking for content to acquire. Distribution comes in several forms; SVOD (Streaming Video on Demand like Amazon Prime, Google Play and iTunes), VOD (independent digital channels online and on devices like Roku and AppleTV), short film distribution (in DVD/Blu-Ray compilations and international sales) and others. Whether you donate $1 or $1,000,000, every dollar is greatly appreciated and helpful in achieving our goals. We're keeping this simple. Choose one of these two options, or you can enter any amount you like to contribute and we will automatically including you in the perks for which you qualify. SHOW ME: If you donate $10 or more, you get a link to watch the full 18-minute pilot episode of "Reclamation." SHOW ME MORE! If you donate $25 or more, you will also receive the scripts for episodes 1-5 to read about Cassie's journey and where it will take her. • Surprise bonus freebies to be announced! It’s been 5 months, 35 film festivals, 6 awards including 2 trophies (one is on its way still), and 17 nominations since we kicked off our distribution funds campaign. Thanks to you, we were able to purchase a Blu-Ray burner for submissions and screenings and attend the Palm Springs Film Market where we made several very good contacts with production companies and film festivals. 1. Holidays mean fewer festivals and with people traveling, or not being able to travel, we won't be attending festivals much going forward. 2. We are working on moving forward to produce more episodes including attaching talent, raising production-level fundraising, and seeking producers/sponsors. 3. We are using our success thus far to pitch Reclamation to studios and production companies. This is far from the end! It’s been a great year and we thank you all for being there with us! Please keep following Reclamation online and we will keep posting developments as they happen. The Q&A Alison and Tom did last week at the KAPOW Intergalactic Film Festival is online. This is the festival where Reclamation won the City of Angels award. 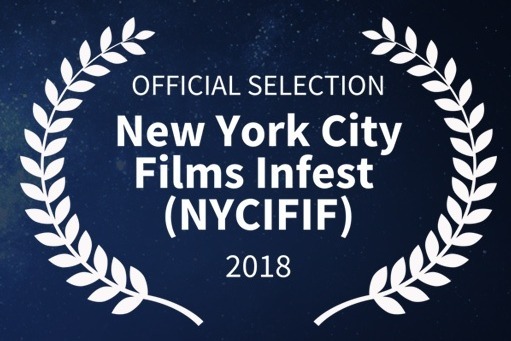 Two more official selections this week! 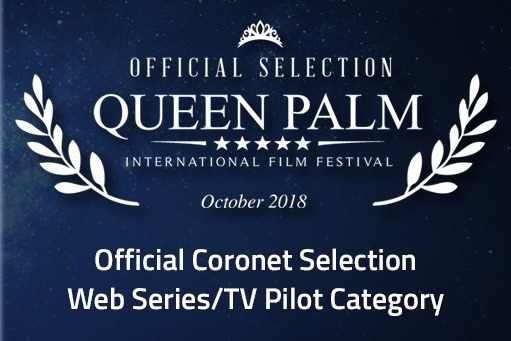 In the Palm Queen International Film Festival, we were named an Official Coronet Selection which is awarded to a project receiving excellent scores for its technical and creative elements making it worthy of an Official Selection. However it did not garner enough total jury points for nomination eligibility or award consideration. So that's it for that festival. Thanks for you ongoing support. Reclamation won the City if Angels KAPOWie last night at the KAPOW Intergalactic Film Festival in North Hollywood. 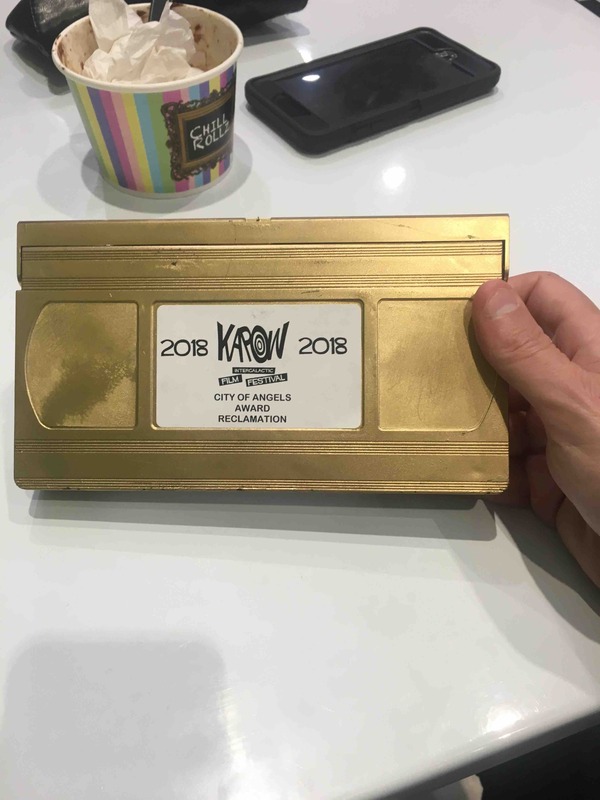 The special award came at the very end of the ceremony and also included a $500 certificate towards equipment rental at LA Grip for our next production. I’m pretty sure it was the only award to come with a money prize. Screen "Reclamation" at home via secure link on your computer or SVOD device via Vimeo app/channel. Can't wait to discover where Cassie's journey will take her? Read the scripts for the first five exciting episodes now! Sent via PDF.